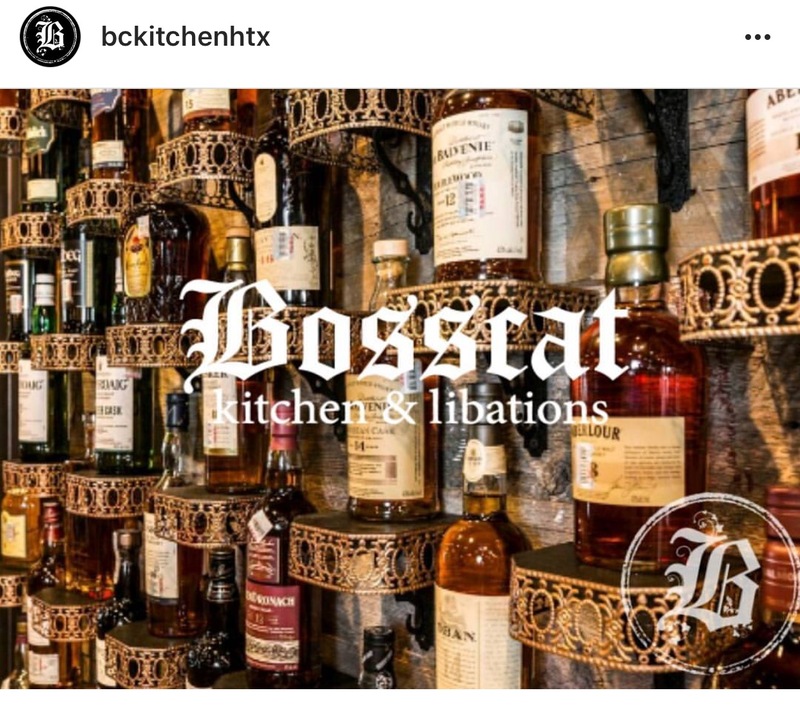 I’ve seen so many Houston Restaurants and Bars stepping up to help the community during this time of need. 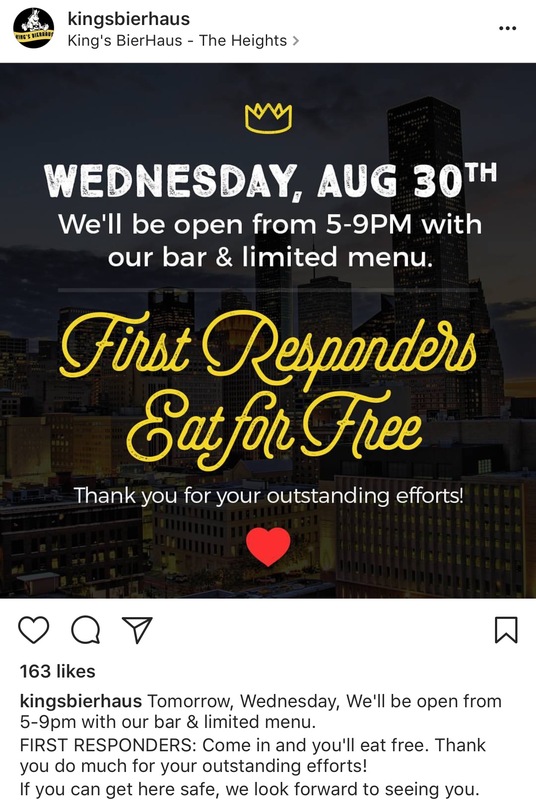 I wanted to take a moment to thank them and also let y’all know where first responders can go for a free meal or restaurants that are seeking donations for flood victims. I plan on updating this list throughout the day so if you know of any bars or restaurants that need to be added please email me at madisonbiz@yahoo.com or DM me on Instagram @MadzPayne. 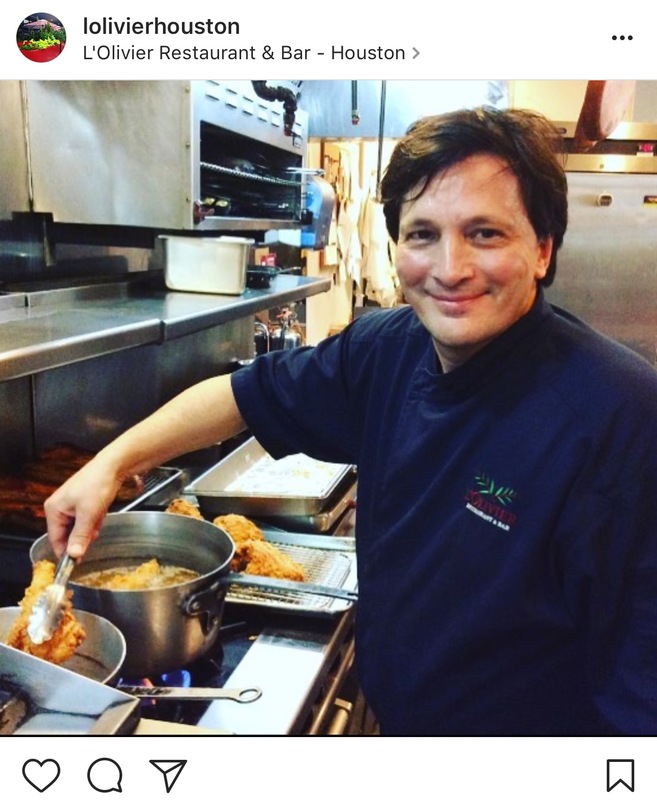 FM Kitchen & Bar will open today at noon (8/30) and will have food ready for delivery. 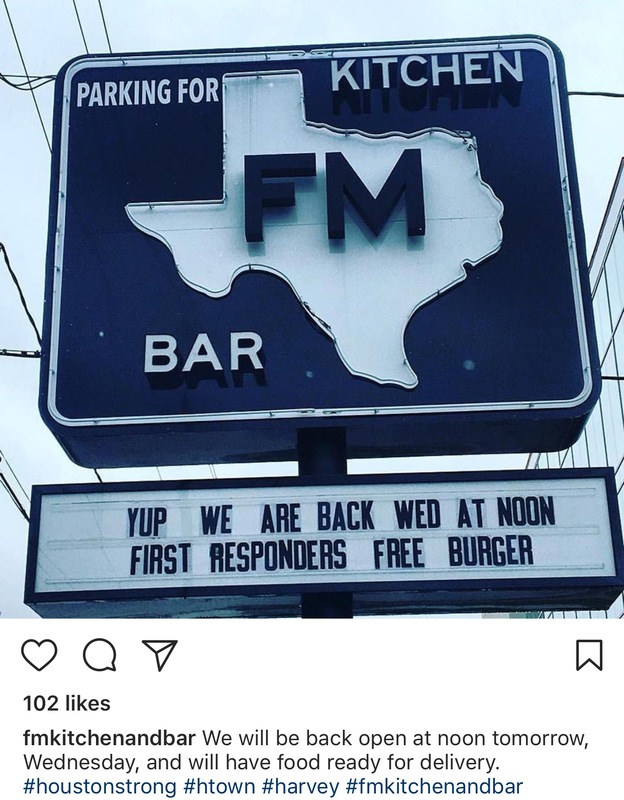 The restaurant will be offering free burgers for all first responders. 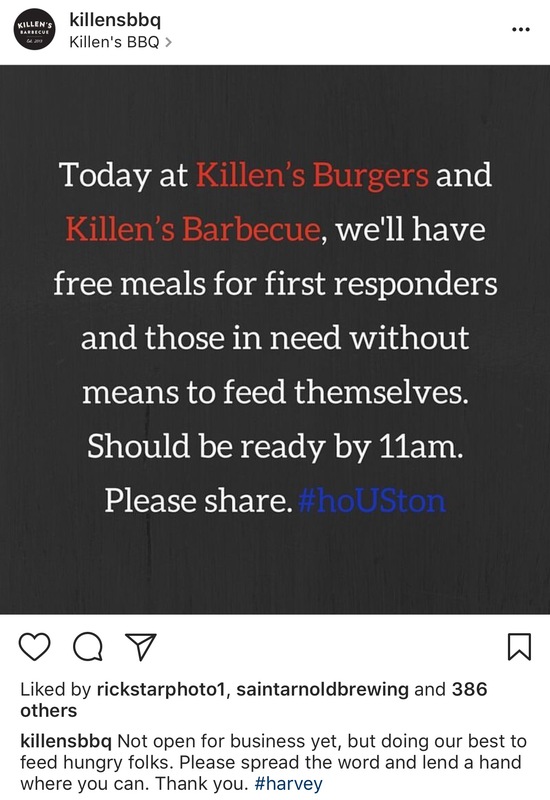 Killen’s will be providing free meals for first responders or those in need starting today(8/30) at 11 am. Open from 5 to 9 pm – Limited menu and first responders eat for free. 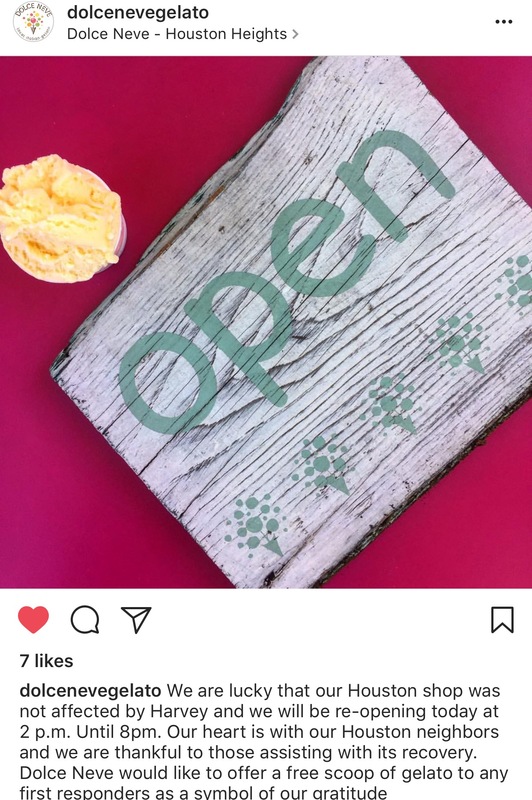 Open and offering a free scoop of gelato to first responders. Offering free food to any first responders that stop by. 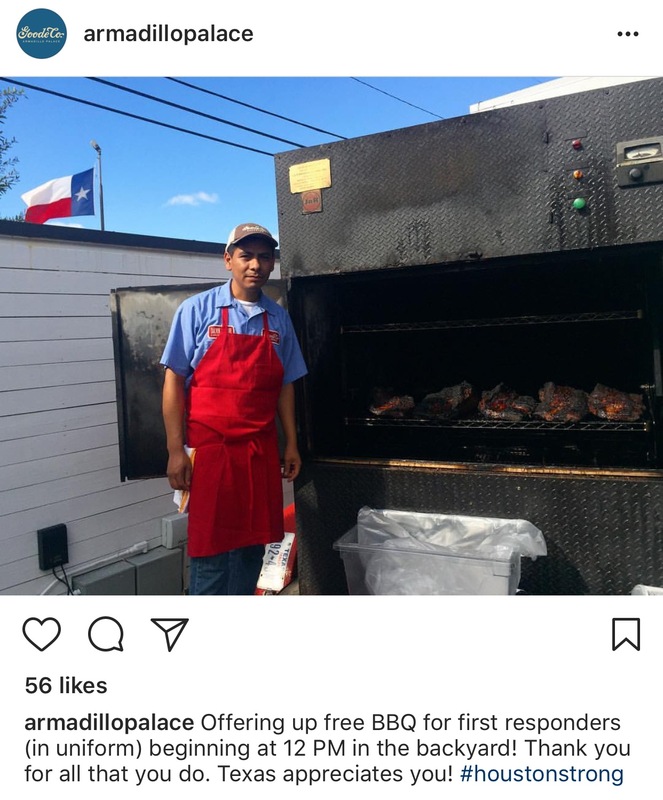 Free BBQ in the backyard starting at 12 pm for first responders. 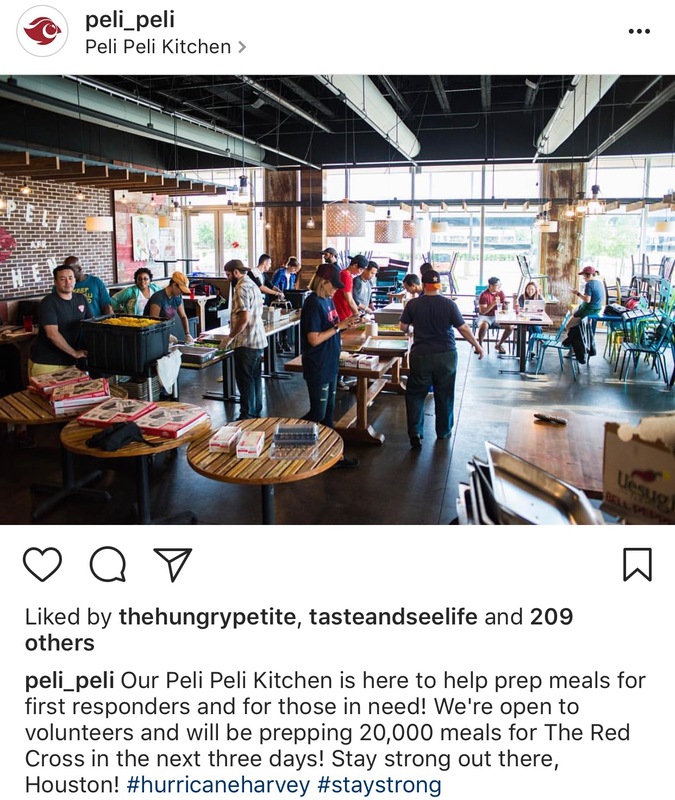 These restaurants to my knowledge aren’t open yet but are preparing food to take it out to first responders so I did want to mention them and what awesome things they are doing. 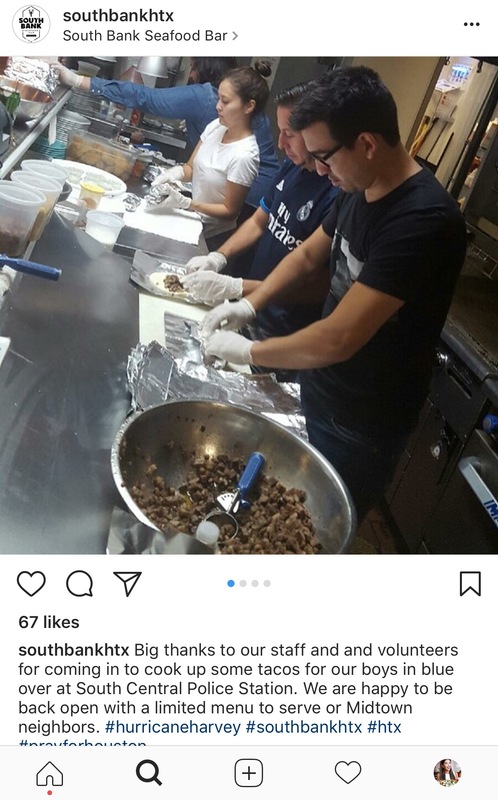 NEED VOLUNTEERS TO HELP over the next few days to prepare 20,000 meals. Thank you, South Bank for feeding the South Central Police Station! 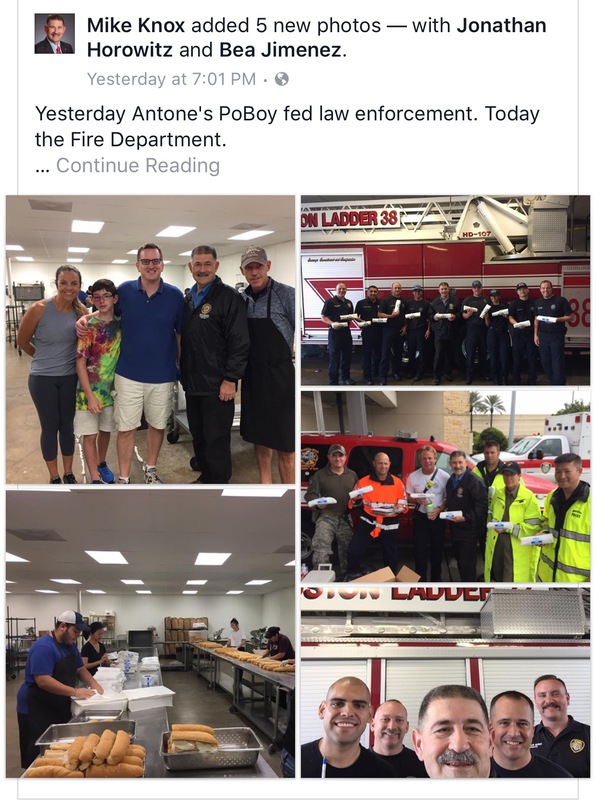 Since Monday, Legacy Restaurants has donated and delivered more than 6,000 Antone’s sandwiches to the Houston Police Department and other first responders, and more than 1,000 sandwiches to Texas Children’s Hospital. Amazing, thank you, guys!! Please be safe trying to reach these restaurants and double check their social media accounts before you head over. I know a lot of resturants are on short supply. They are sure to keep the public updated if they run out of food.